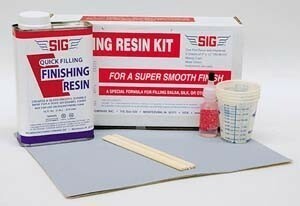 Fiberglassing supplies, resins, cloths and related items. Don't forget to check out Adhesives/CA/Epoxy to find other useful products related to composite construction. 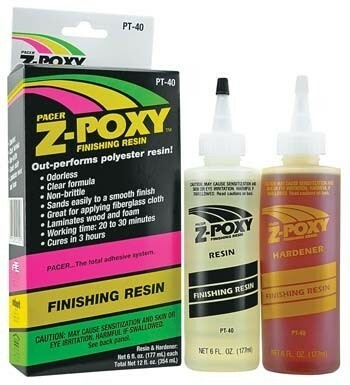 8 ounce set of 30 Minute Z-POXY is a premium two part epoxy adhesive that dries clear. Vibration resistant and fuel proof, this epoxy is perfect for all types of hobbies and crafts. Excellent for furniture. It does not get brittle with age and its easy to mix, just combine equal parts by volume. Durable and sand-able. 8 ounce set of 5 Minute Z-POXY is a premium two part epoxy adhesive that dries clear. Vibration resistant and fuel proof, this epoxy is perfect for all types of hobbies and crafts. Excellent for furniture. It does not get brittle with age and its easy to mix, just combine equal parts by volume. Durable and sand-able. 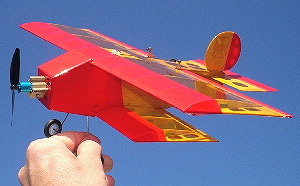 Pair of Slow Stick wing sticks for rear of wing. 3 x 218mm solid. Stock at time of listing is black, may come white. Genuine factory part. Be sure to check out our Carbon rod upgrade set of wing supports PN# RRCSSCWRS in Slow Sticks & Hop Ups. Space age material for strengthening foam wings, wing spars or fuselages. 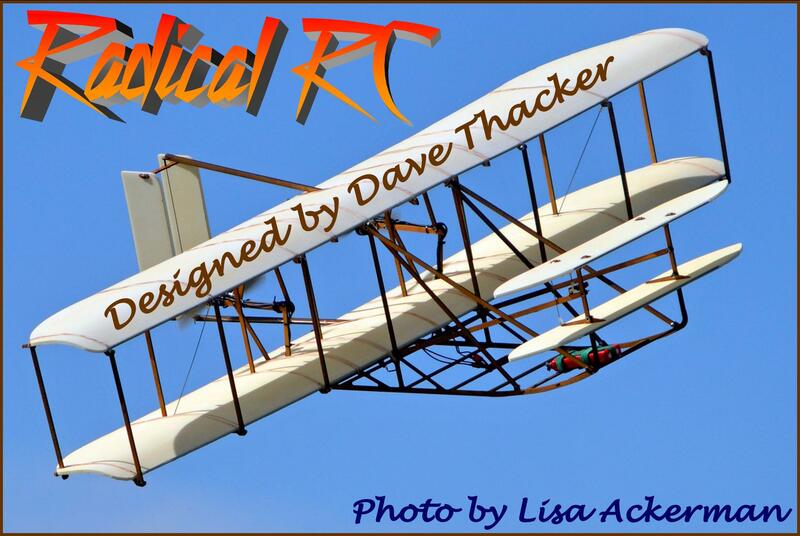 Useful on a wide variety of models: Aircraft, Rockets, Sailplanes and etc. 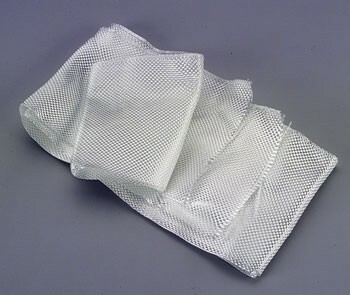 Easily applied with squeeged through adhesive such as 5-30 minuite epoxy or CA. Complete instructions included with package. There is no better stiffening agent per gram than carbon fiber. Space age material for strengthening foam wings, wing spars or fuselages,typically applied to opposite side of wing spars or wing surfaces. 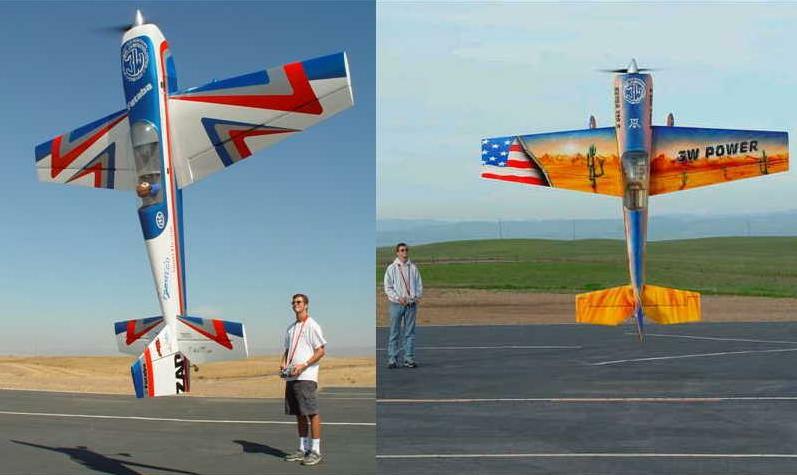 Useful on a wide variety of models: Aircraft, Rockets, Sailplanes and etc. Strands are unidirectional and held together with resin. Strip is 66" long, .5" wide and aproximately .015" thick. 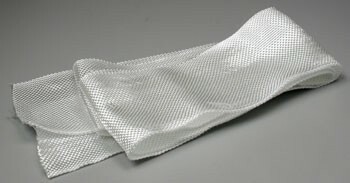 Apply to surface of spars, in knife slice of foam wing or on any surface with adhesive. There is no better stiffening agent per gram than carbon fiber. 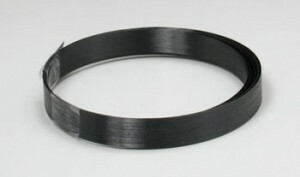 Carbon strip can make dramatic improvements in stiffness and strength. Can easily be stripped into narrower strips. 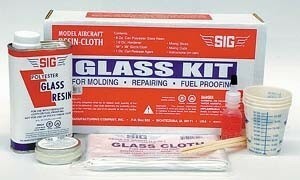 If you have never done any fiberglass work, you'll find this convenient starter's package will answer a lot of questions. Included in the Glass Kit is everything you will need to learn the basics of reinforcing models with fiberglass and making small fiberglass parts. Manufacturer back order, sold out, sorry! 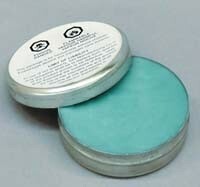 Glass Resin Hardner 1/2 oz. The catalyst for Sig Polyester Glass Resin and Finishing Resin. These resins will not cure unless Resin Hardener is added! Follow mixing directions on resin can. 1/2 oz. bottle of hardener will catalyze up to 1 pint of resin. Glass Resin Hardner 1 oz. 1 oz. bottle of hardener will catalyze up to 1 quart of resin. 50 yard spool of 3/0 reinforcing thread. 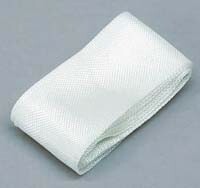 Very light weight material with great strength - used in bullet proof vests. One of the highest temp threads manufactured. 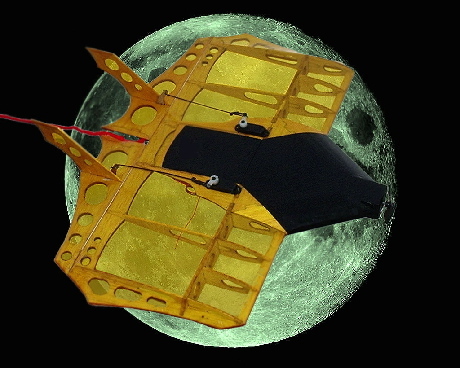 Use to attach items to carbon pushrods, fuselages, etc. Wrap thread and bind with CA. Paint for protection against ultra violet sunlight to prevent deterioration. DO NOT try to yank this thread in two with your hands as it is so tough you could cut yourself severely! 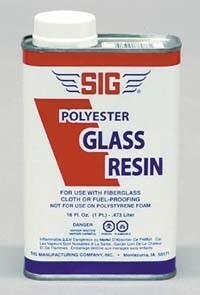 Sig Polyester Glass Resin 16oz. This is a general purpose polyester resin for applying fiberglass cloth or for sealing balsa wood. 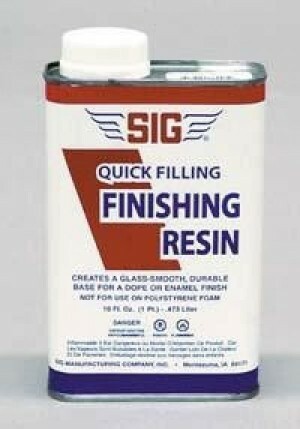 Glass Resin is a perfect match with Sig Glass Cloth for molding your own cowlings, wheel pants, fuselage shells, boat hulls, and many other items. Glass Resin must be chemically activated with "hardener" in order to cure. It absolutely will not cure unless hardener is added! Because the amount of hardener required can vary slightly depending on the curing time desired, we feel it is a better value for you to buy the resin and hardener separately. Sig Resin Hardener is PN# SIGGC002 and must be purchased separately. Note: Glass Resin has a limited shelf life of 2 to 3 years, and should be used promptly. Please do not order more than you can use within that time. Store in a cool place, excessive heat will shorten shelf life. 1/2A Nylon line is excellent for tying pushrod ends and making pull pull lines. Many uses for this fundamental builders supply. For use in making fiberglass parts and other types of mold making work. When applied to an original pattern, Release Agent prevents the finished product from sticking to the pattern. Professional quality. 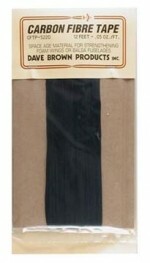 When properly applied it will lay flat without waves or irregularities. Compression strength is comparable to plywood. 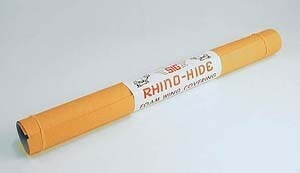 Rhino-Hide can be sanded to a super smooth finish and painted with Supercoat Dope, epoxy paint or urethane. Not for use with water-base glue. Approx .014" thick (little greater than 1/64" ply). Much lower cost than Balsa or Aircraft Ply for the area covered. 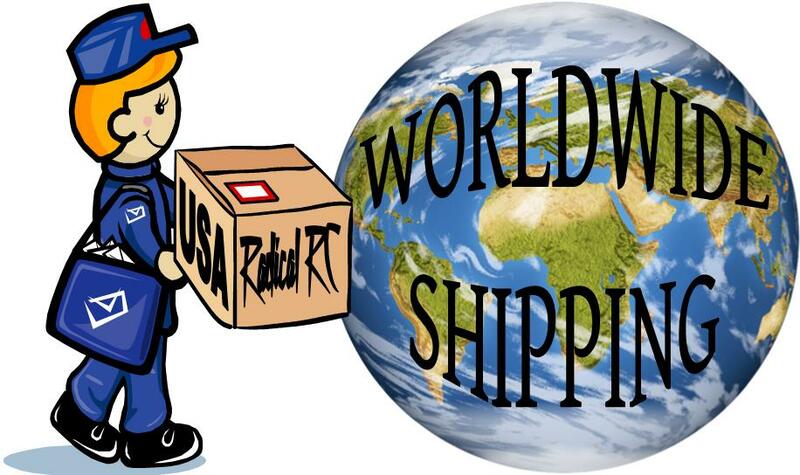 Our cost to ship this roll of material (as of 01/23/12) is as much $10.40 (out west). Minimum Order of $50 is required for us to include this item in your order. There are only a few items out of 5600+ that we sell needing this special requirement.